Passware Kit now recovers user login passwords for Mac OS X 10.8 Mountain Lion and 10.9 Mavericks from live memory images. This is achieved without brute-force attacks. Password extraction takes a few hours thanks to hardware acceleration on NVIDIA and AMD GPUs. NOTE: This feature is available in the Forensic edition only. Passware Kit 13.3 recovers passwords for Mac OS X 10.8 Mountain Lion and 10.9 Mavericks users from a Mac keychain file (PLIST). The process can be accelerated with GPU cards and distributed computing. 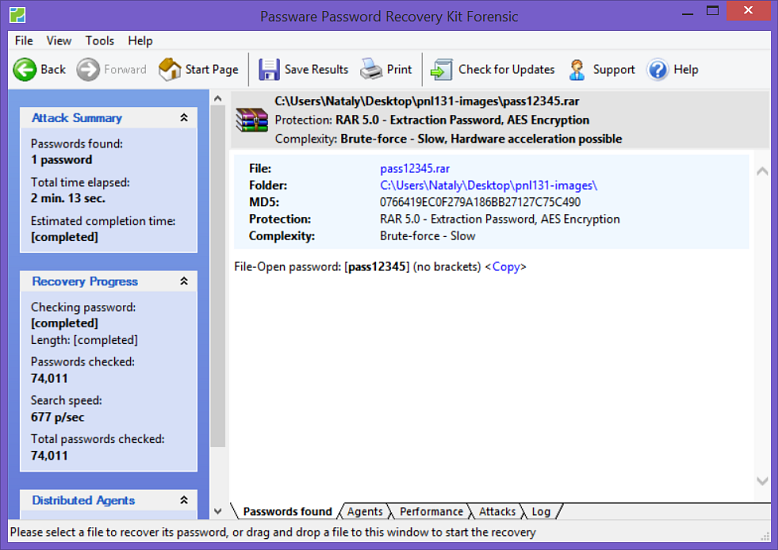 Passware Kit updates its RAR password-recovery module and now supports the latest versions of RAR and WinRAR: 5.00 and 5.01. The program features both NVIDIA and AMD hardware acceleration and distributed computing, and it recovers over 6,000 passwords per second with a single GPU. 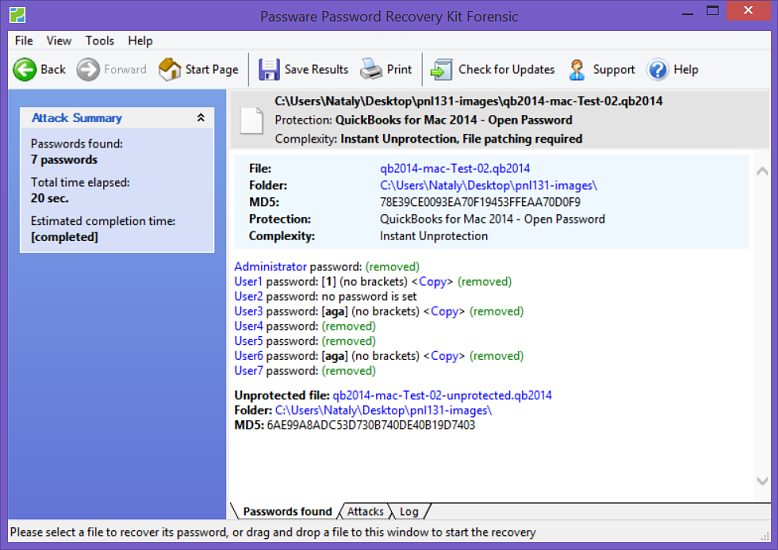 NOTE: This feature is available starting from the Passware Kit Standard edition. Passware Kit 13.3 is the first software that instantly decrypts databases from QuickBooks for Mac. QuickBooks for Mac versions 2013 and 2014 are supported. 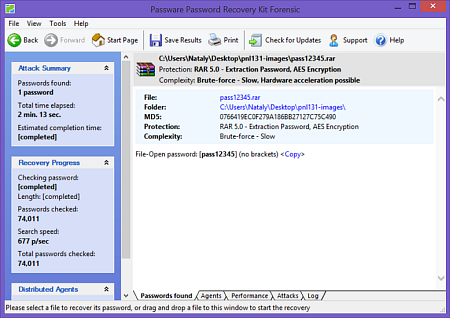 NOTE: This feature is available starting from Passware Kit Professional edition. 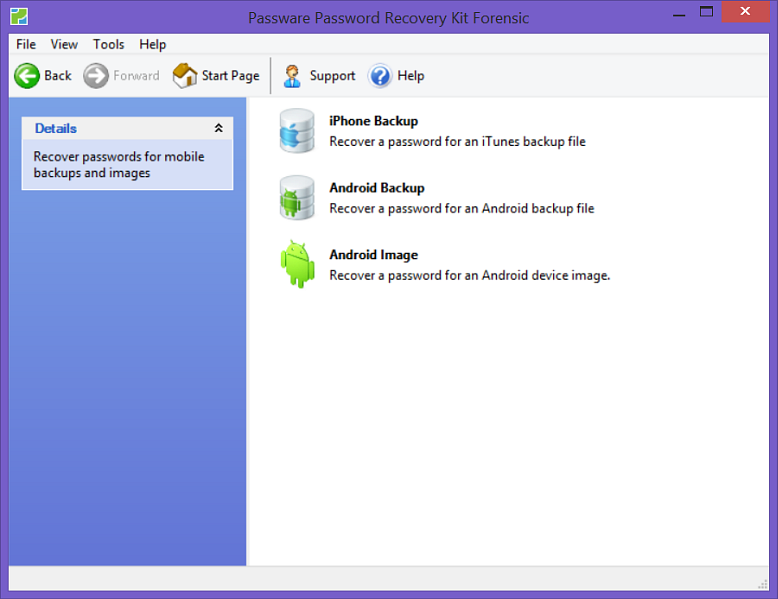 Passware Kit now recovers passwords for iTunes backups (PLIST files) of iOS 7.x devices. The recovery process can be accelerated with both NVIDIA and AMD GPUs. 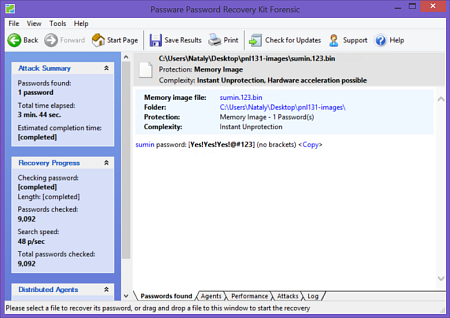 NOTE: This feature is available in the Passware Kit Enterprise and Forensic editions only. 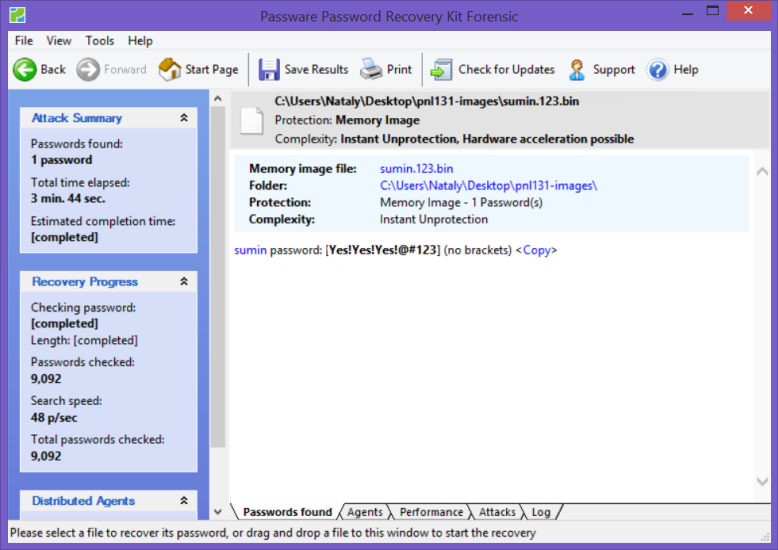 Passware Kit Forensic 13.3 features a new interface section: Mobile Forensics. This section includes password recovery for Android and iTunes backups and for Android images. 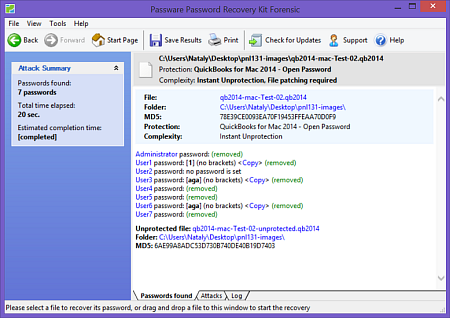 Images acquired with Oxygen Forensic Suite are also supported.